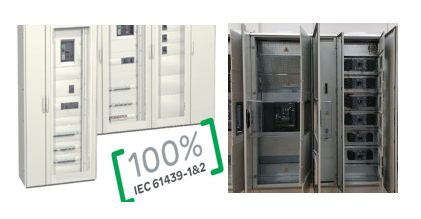 These standards deploy the constructional requirements, technical requirements for low voltage switchgear and controlgear assemblies only when required by the relevant Assemblies standard as follows. ASSEMBLIES designed for electrical equipment of machines. Supplementary requirements for ASSEMBLIES forming part of a machine are covered by the IEC 60204series. ASSEMBLIES whether they are designed, manufactured and verified on a one-off basis or fully standardised and manufactured in quantity. Sspecify an ASSEMBLY or used for a purpose of determining conformity. Individual devices and self-contained components, such as motor starters, fuse switches, electronic equipment, etc. which will comply with the relevant product standards. 6 IEC 61439-6 Busbar trunking systems (to supersede IEC 60439-2).